Slayer and Megadeth were touring together in October of 2009, it was the must see show for any self-respecting metalhead. However, the day of the show I hear that Tom Araya has voice problems and that Slayer won’t be playing, this is confirmed at the venue, so we get a local metal band and an extended Megadeth set, which I still really enjoyed. The next day at work this guy comes into our tasting room, turns out it’s Slayer’s manager, Rick Sales. We get talking I show him around, talk about the show and the bands he manages, he has a good time and leaves. A few weeks later I get a package from him with some CD’s and t-shirts and I think what a great guy! Fast forward almost a year and Rick comes back to Adelaide with Bullet For My Valentine, we catch up again at their show, hang out, have some drinks and are fast becoming friends. Closer to Christmas of 2010 Rick calls me and he has this idea of making a Slayer wine, he wants to know if it can be done and would I help him out in putting it together. Of course I say yes, we talk for a while and I suggest that we can do a lot more than just a one-off vanity product for one of the greatest metal bands in history. This, right here, is the start. From there as time goes on over a few months and we talk more exchange emails and information we start to form this concept of what I call Distorted Beverages. But, there is another side of this story. Whilst all the preceding events are going on over an 18 month period, I’m fast becoming very into home brewing and craft beer. I’ve won a few awards at local, state and even a national second place for the beer I’ve made and I’m dreaming of a way to tie together my experience in the wine industry and new passion for good, craft beer and my love of all things heavy metal. Where this all ties together is Soundwaves festival in March 2011. Rick arrange passes for my friends Christian and I and we take down some good wine and a also a few bottles of my home-brew, which I had made specially for BFMV and Slayer. The lads from Bullet really like the beer and are dead excited about the possibility of having their own brand of beer, I also meet Rob Zombie and all his band, a great guy, very approachable. His manager Andy Gould is a close friend of Rick’s and he introduces me to Rob and we talk about the Slayer wine concept and expresses interest as well, I suggest beer too, and he says “Yeah, definitely. That would work!” It is really at this point that I start to realise that my dream has a very real chance of actually coming together. This brings us to the present day….. almost. There is the Disturbed angle which I’ll go over next time, oh and I met Metallica. To get a good handle on what this blog is about it is important that I provide some backgorund to my new venture. I’ve been involved in the wine industry since 1996 in both Tasmania and South Australia and for the last 6 years in the Barossa Valley. Over the past 3-4 years I have also been an active homebrewer and craft beer lover. I have reviewed over 340 beers at ratebeer.com and enjoyed countless great wines from around Australia and the world. When I was a teenager, around 14-15 I discovered Guns N Roses, this changed my life forever. Suddenly music evoked a lot of emotion in me and I found that I could turn to music to find solace in my teenage angst. 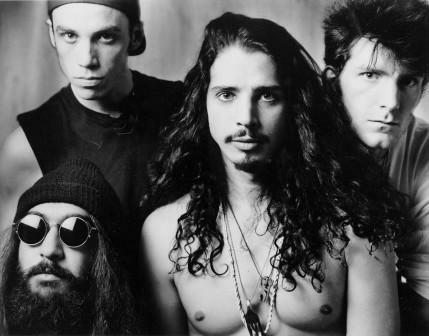 From then on it was a constant rollercoaster of musical discovery, I found bands like REM and Aerosmith then the heavier bands like Metallica and Pantera.It was also at this time that Grunge really took off and I fell in love with Alice In Chains and Soundgarden. Grunge was my new musical taste and I couldn’t get enough of it. However, my heavier side never went away and I was discovering Slayer, Machine Head and others at the same time. 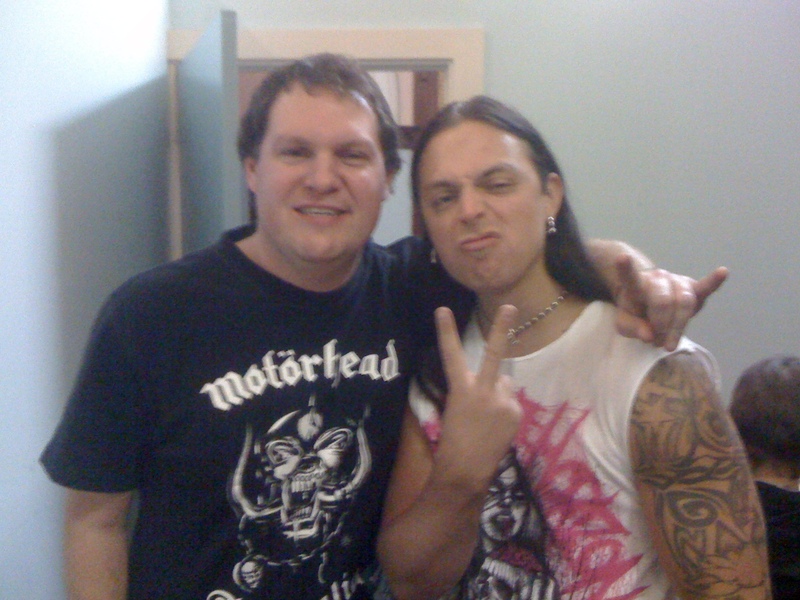 Fast forward about 10 years from then andn I was attending every metals show that was touring Adelaide; from Mastodon and Slayer to Machine Head, Trivium, Slipknot and Arch Enemy. One day whilst working at Rockford Wines in the Barossa Valley I met a guy who changed everything.